#CoverStoryFastLove #BiggestWeeklyNewspaperInTheEntireMiddleEast see full article and video clips in my instagram BIO! “Tyrese wins the UAE again on ‘Fast and Furious’ junket Hollywood star returns to the Emirates to promote the eight franchise of the hit action film Sarvy Geranpayeh, Staff Reporter Fast and Furious fans, and just about anyone who loves a good action-packed movie, do not have to wait any longer – the eighth instalment of the franchise, The Fate of the Furious, hits UAE theatres this Thursday. 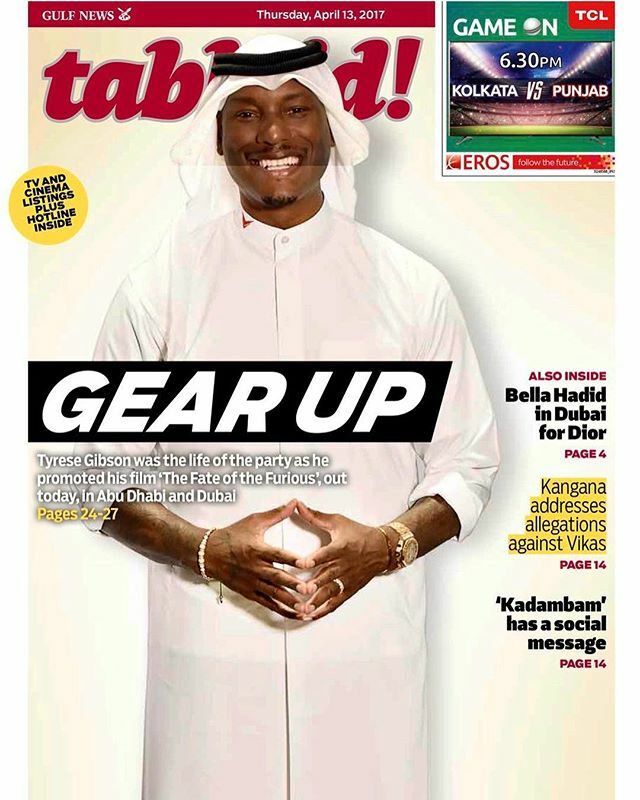 On Tuesday night Tyrese Gibson, one of the movie’s stars, landed in the country to promote the film in both Abu Dhabi and Dubai, ahead of its official release. Fans come from across the Emirates as well as the region to the first event at Vox Cinemas in Yas Mall, Abu Dhabi, to get a glimpse of the actor. One man, Mohammad Al Saeid, who called himself Tyrese’s biggest fan, had travelled all the way from Kuwait to meet the actor. “I met him once before and he seemed so generous, I became a fan straight away,” he told Gulf News! .